Carol Wilson, a regular volunteer at the museum, has been in today to tend the authentic fifteenth century garden behind the Crofter's Cottage. There are a great variety of plants, vegetables flowers and herbs grown in the garden, most of them were grown for food, medicine or dying clothes. Before the fifteenth century the types of plants grown were either native, or introduced by the Normans and the Romans before them. Green comfrey was mixed with pig fat to stick on wounds - remember there was no elastoplasts. Sweet Woodruff was a 'strewing herb', one cast it on the floor of the house to disguise the smells. Sweet Cicely was useful for aiding digestion and chewing to alleviate hunger. Mary's Tears reminded people of the tears of the virgin Mary at the Crucifixion, remember this was a period before Henry VIII when most people would be practicing Catholics. 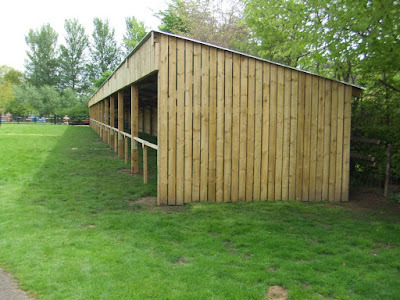 After much hard work, the new machinery shed at the museum is completed. 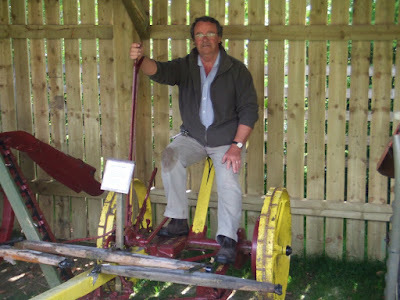 Kevin, the Museum Manager is pictured here aboard a wheel driven Bamlett grasscutter. 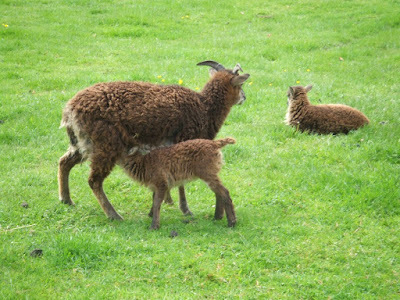 The Soay sheep at the museum have yielded 5 lambs from 4 ewes and are in good health. 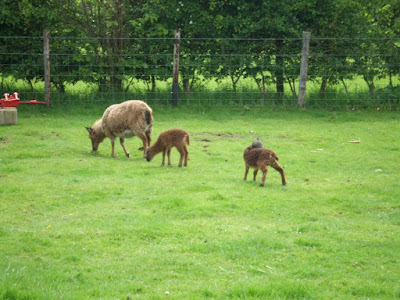 They may be much smaller than the local breeds of sheep such as the Swaledale or the crossbred Mule, but have two major advantages. The first is that they do not need clipping, the fleece just falls off, the second is that they do not suffer from the common affliction of footrot. 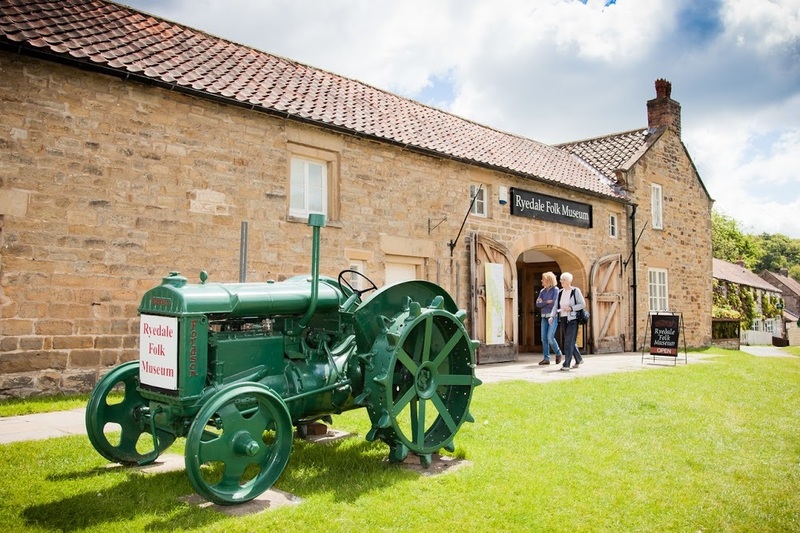 From the 1st to 12th June Ryedale Folk Museum hosts events with a Second World War theme. Land Army Girls , the Home Guard and American G.I's will all be coming at various times to re-enact and enrich our knowledge of life during the Second World War. 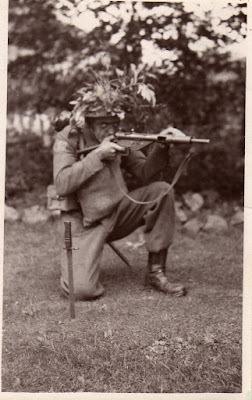 Today's picture is of a local volunteer, Les Davison, in 1943/44. He, like many other men, served in the Home Guard. The picture was taken at Hutton-le Hole. Les was one of the first volunteers at Ryedale Folk Museum. Jonathan Severs B.A (Hons), York St John. 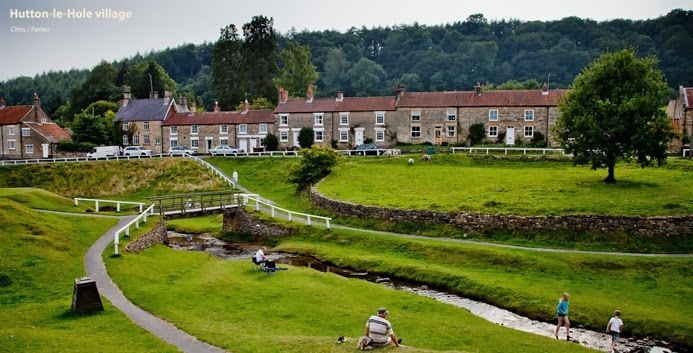 From the 1st to 12th June Ryedale Folk Museum hosts events with a Second World War theme. Land Army Girls , the Home Guard, American G.I's will all be coming at various times during the two week period to re-enact and enrich our knowledge of life during the Second World War. Today's picture is of a local volunteer, Les Davison, in 1943/44. He, like many other men, served in the Home Guard. 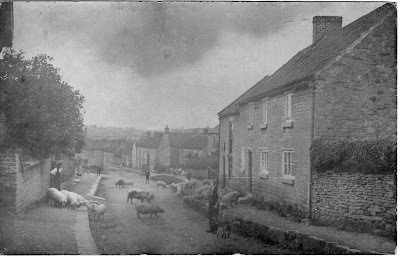 The picture was taken at Hutton-le Hole. The Ryedale area of North Yorkshire does not conjure up an image of ships and whaling, but an individual named Captain William Stockell came from Malton and led a full and adventurous life. He taught himself sea navigation, and went to sea in January 1804. This led to him developing a love for life at sea and many adventures. If one is fortunate to read his autobiography, The Eventful Narrative of William Stockell, one may assume that is the work of someone with an overactive imagination. Further investigation into other sources of information such as ship's rosters that he wrote about prove that much of the contents of the book are true. Maybe he does bolster his own image with tales of courage under the worst conditions, but one cannot dispute that he led a full life. Service in the Royal Navy, the U.S navy, working on merchant ships and whaling were just some of the vessels he sailed on, in days before steam ships. Jonathan Severs, B.A (Hons), York St John. Blacksmith and Museum volunteer Robin Butler tells his story of finding a silver spoon wedged within the thatch of the crumbling Harome Manor House in 1971. Robin found the spoon whilst working as part of a group of volunteers dismantling the building in order to preserve and rebuild it on site at Ryedale Folk Museum. The original spoon is now held by the British Museum, Ryedale Folk Museum has a replica which is on display in the Manor House on site. This video uses images from the museum's photographic collection and shows the volunteers at work. You may have heard that the museum has purchased two Lincolnshire Curly Coated Pigs, have a look at the museum blog to see the latest pics. I found these photographs in the museum archive of some weaners being fed at Rosedale North Yorkshire. The other is possibly a chaotic scene of some pigs roaming around in Thornton-le-dale near Pickering.